In Season 2, we talked about Aging in Place with the founder of HomesRenewed, which focused on ways to make the built environment work for people who wish to remain in their own homes or apartments and avoid moving into a facility if at all possible. 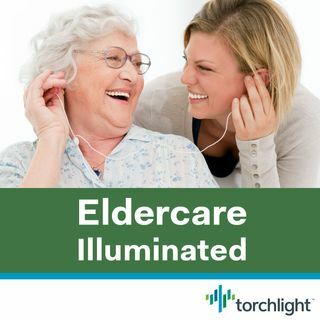 In this episode, we speak with Dr. Sarah Szanton, one of the founders of the CAPABLE Project (https://nursing.jhu.edu/CAPABLE), which takes the problem of aging in place a step further – addressing both the physical space and the functional ... See More limitations of the resident. When you pay attention to both the house and the body, the results can be amazing. Sarah L. Szanton, PhD, ANP, FAAN is the Endowed Professor for Health Equity and Social Justice and Director of the Center for Innovative Care in Aging at the Johns Hopkins University School of Nursing. While making house calls to homebound, low-income elderly patients in West Baltimore, Dr. Szanton noticed that her patients’ environmental challenges were often as pressing as their health challenges. As a result of her observations, she and colleagues at Johns Hopkins University developed a program of research on the role that the environment and functional limitations play in the ability of older adults to “age in place” or stay out of a nursing home. The result is the CAPABLE Project - Community Aging in Place—Advancing Better Living for Elders, which combines handyman services with nursing and occupational therapy to improve mobility, reduce disability, and decrease healthcare costs.